On Wednesday, 4 July, the 33-car provisional entry list for the 2018 Suzuka 10 Hours was published by Suzuka Circuit and Mobilityland Corporation. 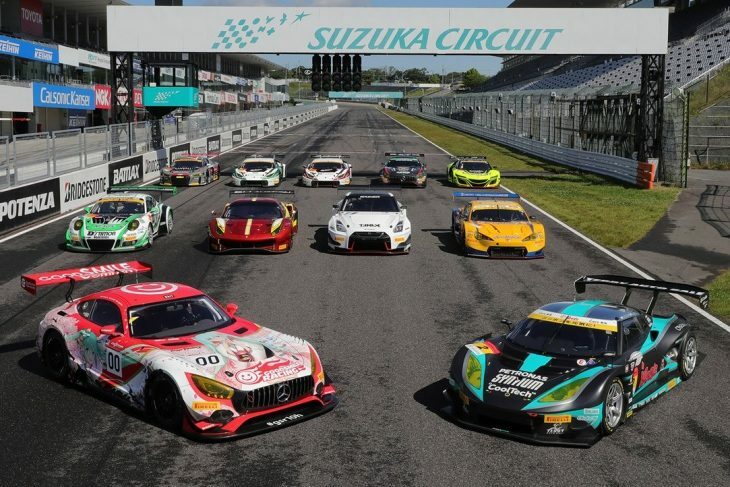 25 teams, representing 12 different manufacturers, and fielded from 9 different countries, will take part in the 47th Summer Endurance sports car race at Suzuka Circuit, which has a rich history spanning over five decades in its previous incarnation as the Suzuka 1000km. They’ll compete for a share of a rich prize purse of ¥100,000,000 (100 million Japanese Yen, over £685,000 GBP) which has attracted teams from the GT300 class of the Autobacs Super GT Series, the Blancpain GT Series and Blancpain GT Series Asia, the ST-X class of the Pirelli Super Taikyu Series, and the Pirelli World Challenge. The drivers entered so far – with still many more vacancies to be filled in the weeks leading up to the race – are of incredible pedigree. There are eight previous overall winners of the Suzuka 1000km, and ten previous GT300 sub-class winners. There are six winners of the 24 Hours of Spa-Francorchamps, four winners of the 24 Hours of Nürburgring, three winners of the Bathurst 12 Hour, and two overall winners of the 24 Hours of Le Mans. Honda won the 2017 Suzuka 1000km outright with their GT500 class NSX-GT. This year, they will try for their eighth overall win at this event, represented by three all-new NSX GT3s. Modulo Drago Corse are led by Ryo Michigami, the only three-time overall Suzuka endurance race winner in this year’s field, as well as 2011 overall winner Takashi Kogure and rookie Hiroki Otsu. 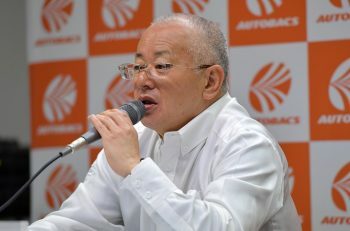 A win for Michigami would bring him level with the great Kunimitsu Takahashi, the only four-time overall winner of the Suzuka Summer Endurance Race. Honda Team Motul are a special star-studded entry led by 2013 winner Naoki Yamamoto and fellow GT500 stars Hideki Mutoh and Daisuke Nakajima. The pro-am CarGuy Racing team also makes their debut, with owner/driver Takeshi Kimura, Japanese-Italian driver Kei Cozzolino, and young Malaysian Afiq Yazid alongside. The other big Japanese manufacturer presence comes from Nissan, with three brand new GT-R NISMO GT3s of their own – two for KCMG, one for Gainer. KCMG have a star studded driver lineup featuring 2008 race winner Tsugio Matsuda, the winningest GT500 driver in Super GT history, and Katsumasa Chiyo, a fellow Nissan GT500 driver and 2015 winner of the Bathurst 12 Hour. Alexandre Imperatori, Richard Bradley, and Eduardo Liberati are also part of KCMG’s two-car Suzuka effort. Gainer, who won the GT300 class at this event in 2015, bring with them Katsuyuki Hiranaka, Hironobu Yasuda, and Kazuki Hoshino, the overall winner in 2006 and a three-time GT300 subclass winner. Like Honda, Nissan have also won the Suzuka Summer Endurance Race seven times in years past. The most successful single make in Suzuka Summer Endurance Race history is Porsche, who have 11 overall wins spanning from 1967 to 1994. Porsche are represented by five 911 GT3-Rs, from four teams, from four different countries. From Germany, Manthey Racing are led by two-time Le Mans champion Romain Dumas, 2013 Suzuka 1000km winner Frédéric Makowiecki, and Dirk Werner. From Hong Kong, Craft-Bamboo Racing boast the newly crowned Le Mans GTE Pro winners Laurens Vanthoor and Kevin Estre, joined by Porsche young star Mathieu Jaminet. And from the United States, top pro-am squad Black Swan Racing are led by Jeroen Bleekemolen, Tim Pappas, and Marc Miller. 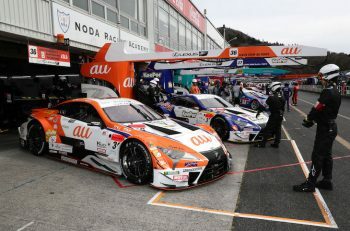 They also have two cars from Japanese-based D’station Racing, from both their Super GT and Super Taikyu operations. Tomonobu Fujii, Sven Müller, and two-time Le Mans winner Earl Bamber are in their all-pro Super GT #7 entry, while owner/driver Satoshi Hoshino, and young stars Tsubasa Kondo and Jono Lester, lead the way in their pro-am #77 car from Super Taikyu. Mercedes-Benz won this race overall in 1997 and 1998, when the Suzuka 1000km was part of the SRO-run FIA GT Championship. They also won the GT300 class in last year’s final running of the 1000km. This year, they also have five cars, representing four teams from three countries. They are led by Goodsmile Racing & Team UKYO, the three-time and defending GT300 series champions in Super GT. They retain the lineup that they took to last year’s Spa 24 Hours: Three-time GT300 champions Nobuteru Taniguchi and Tatsuya Kataoka, joined by Toyota WEC star Kamui Kobayashi. Also from Japan are Rn-sports (“Roun-ye”), an all-amateur team led by young sportsman racer Ryosei Yamashita. From the international side of Mercedes’ entry, they have two cars from British-based Strakka Racing – with Maxi Buhk, Maxi Götz, and Alvaro Parente in one car, and Nick Leventis and Lewis Williamson featuring in the other. German-based GruppeM Racing were the inaugural Blancpain GT Series Asia champions last year, adding another potent squad in the Silver Arrows’ fleet for Suzuka, all fielding the Mercedes-AMG GT3 much like the one that scored GT300 victory in August 2017. But there are many manufacturers who’ve never won this famed Japanese race. Audi bring five R8 LMS GT3s to Suzuka in pursuit of their first victory. Richard Lyons and Ryuichiro Tomita, the regular drivers at Audi Team Hitotsuyama, are also joined by Spa 24H winner Markus Winkelhock. Stuart Leonard, who was part of Audi Sport Team WRT’s winning effort at the Bathurst 12 Hour in February, will be entered in one of WRT’s two entries that are still taking shape, and Chinese-based Absolute Racing will also fly the flag for the four rings with two cars of their own. Audi’s sister brand Lamborghini are bringing three Huracán GT3s in pursuit of their first win at the event. Two are from Super GT stalwarts Team JLOC, who are collaborating with EVA Racing with this year’s entry. Their pro car is led by Kazuki Hiramine and Lamborghini factory drivers Marco Mapelli and Andrea Caldarelli, while their pro-am entry has Yuya Motojima, Kimiya Sato, and Taiyou Iida. Austrian-based Grasser Racing Team, the reigning Blancpain GT Series champions, will also field a car at Suzuka – Mirko Bortolotti and Rolf Ineichen were announced in March as two of their drivers, though they are omitted from the entry list published on 4 July – so this may have some moving parts involved. Also seeking a first Suzuka victory is Ferrari, with three 488 GT3s, two four Taiwanese entrants HubAuto Corsa, and one from ARN Racing, based just a few kilometers north of the Suzuka Circuit. ARN Racing won last year’s Super Taikyu ST-X (GT3) championship before making a surprise switch to Blancpain GT Asia in 2018. Their drivers are better known for their exploits in Super GT in the Toyota Prius apr GTs: Gentleman racer Hiroaki Nagai, three-time Suzuka 1000km subclass winner Kota Sasaki, and two-time GT500 Drivers’ Champion Kohei Hirate will drive ARN Racing’s Ferrari. The two-car effort from HubAuto Corsa boasts a star-studded pro entry for Ferrari customer GT racing standouts Matt Griffin, Davide Rigon, and Miguel Molina, who bring with them considerable experience in the WEC’s GTE classes. A second, pro-am HubAuto Ferrari is entered for Morris Chen, Nick Foster, and Leo Ye Hongli. Bentley Team M-Sport will field the two all-new, second-generation Continental GT3s that campaign in the Blancpain GT Series. They also bring over their full Endurance Cup driver roster, led by Andy Soucek, Maxime Soulet, and Vincent Abril in car #07, and Steven Kane, Jules Gounon, and Jordan Pepper – who succeeded the retired Guy Smith earlier this year – in car #08. BMW are represented by a single M6 GT3 from Asian Le Mans Series GT class champions FIST-Team AAI. BMW factory driver Tom Blomqvist is joined by Super GT legend and 2002 overall race winner Akira Iida, and Thai gentleman racer Piti Bhirombhakdi, heir to the Singha Brewery fortune. BMW’s only overall victory in the Suzuka endurance race came in 1982, via the Auto Beaurex Motor Sports M1 of Fumiyasu Sato and Naoki Nagasaka. There is also a single Chevrolet Corvette C7 GT3-R fielded in a joint effort by Callaway Competition and Japanese-based Bingo Sports, led by Porsche Carrera Cup Japan champion Shinji Takei and Porsche scholarship driver Yuta Kamimura. And this Suzuka 10 Hours is not only for FIA GT3 cars, it is also open to the unique JAF-GT300 category cars and the GT300 Mother Chassis cars from Super GT. Two of those teams have answered the call: Team UPGarage enter their Dome-built Toyota 86 MC for Yuhki Nakayama, Takashi Kobayashi, and Takuto Iguchi. While Cars Tokai Dream28 field their Mooncraft Engineering-built Lotus Evora MC for Kazuho Takahashi, Hiroki Katoh, and Hiroshi Hamaguchi. These silhouette cars, powered by 400-horsepower, 4.5 litre V8 engines, boast supreme downforce in relation to their GT3 counterparts – which will make this battle very, very intriguing. The one big omission from this inaugural Suzuka 10 Hours entry list is that of big presence from Toyota Gazoo Racing. Neither of the two Toyota Prius GTs, or any Lexus Customer Racing teams with the RC F GT3, are entered. The only Toyota-badged car in the field will be the Dome-built UPGarage 86 – an effort not officially supported by the manufacturer that has combined to win this race 13 times between the Toyota and Lexus brands. That aside, this is a quality 33-car grid that is set to roar to life on 24-26 August at legendary Suzuka Circuit – and there are still more driver announcements to come.